Lindsey Mueller, junior, started playing golf with her dad when she was ten years old. Mueller and her dad played for fun at the Spanish Hills Country Club, where she fell in love with the sport. Mueller continues to play nearly every day to continue improving. At two competitions on Oct. 11 and 19, Mueller qualified for California Interscholastic Federation (CIF). The CIF qualifiers were held on Oct. 11 and 19. 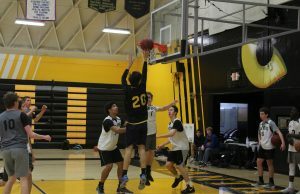 “There’s a league tournament, it’s two days, and the top nine scorers qualify so, whoever shoots the lowest of those nine go onto CIF,” Mueller explained. At the competition on Oct. 11 at Sol Court Golf Course, Mueller scored a 74, which brought her to third place. At the second competition held at the Los Robles golf course, Muller scored a 76. With these two scores, Mueller made it into the bracket necessary to qualify for CIF. Savannah Thunnell, senior, has been playing golf with Mueller for two years. “Golf takes a lot of patience– something I struggle with– and I think Lindsey definitely has that skill mastered,” Thunnell said. Thunnell believes that Mueller is a supportive teammate that is always there to provide a helping hand. Mueller’s golf coach, Nori Parvin, has seen her dedication and progress over the course of the time they have worked together. 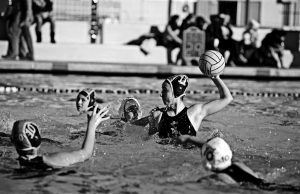 “Lindsey has made CIF Northern Individuals all three years and made First Team Marmonte League this year,” Parvin said. She credits her success to Mueller’s hard work on improving her game. 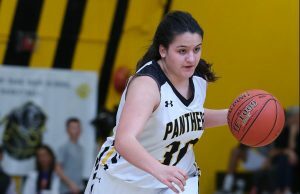 “I think without a doubt that Lindsey will be at CIF Northern Finals and even more next year,” Parvin added.